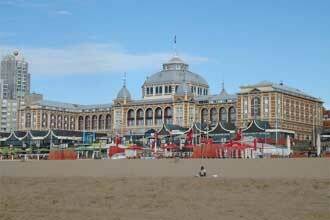 Scheveningen is part of Den Haag, which is known as The Hague to us in the UK. Scheveningen was a bit surprise for me to be honest, I was a little shocked to see an amazingly long, wide sandy beach on the coast of the Netherlands! The beach is also complete with a pier, esplanade with some great beach bars and restaurants. A light house and of course not forgetting the nudist section to the north. I can’t comment on this part of the beach as there were too many bars to make it past before we could get there. If you are into surfing, not the web kind, there are some reasonably good waves which had a few people riding on, I haven’t seen anyone windsurfing there yet but looks pretty good conditions for it, how I am now thinking back to being in Lancelin and wishing i had learned to windsurf… long story cut short, one of the best places in the world to windsurf, but it was too windy for me to learn. There were a few people testing their kites for kiteboarding/kitesurfing which judging by the waves would have been awesome. I never set foot unto the peir, it didn’t look particularly that interesting, apart from you can bungy jump off the top. A pretty small bungy jump too compared to my AJ Hacket bungy, but it would have been fun i’m sure. I tried to get Dorota to do a tandem one with me, but she wasn’t feeling the excitement. 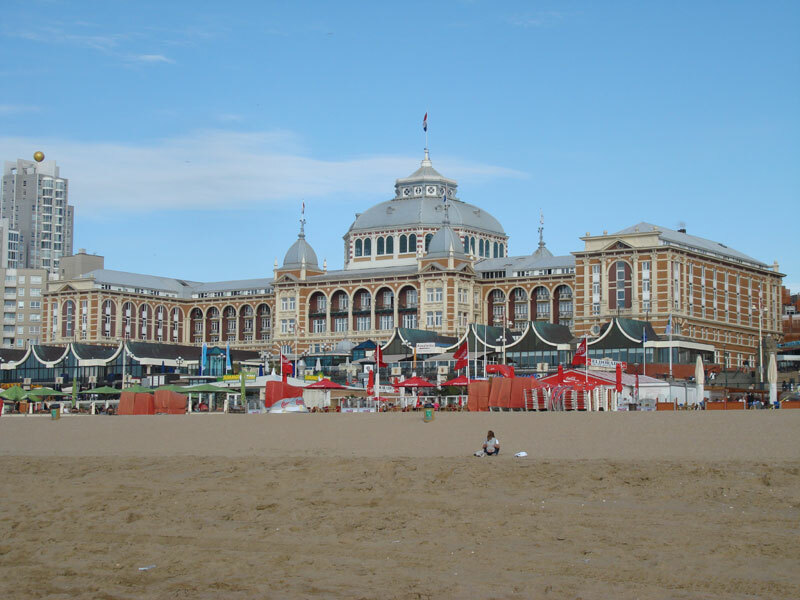 There is an amazing hotel in Scheveningen called the Kurhaus Scheveningen, it was built by ze germans in 1884, and has recently been completely renovated and now is a high class hotel and casino. I love Holland, can’t wait to go next summer. I’ll hit Brussels too. Any tips for sites with info for my trip? I’ve found a few good one’s. See you all in Europe! I’m glad to find your blog, I have been to this beach before but could never remember the name. It is such a beautiful area. I remember enjoying the great combination of old architecture and new art. Hi Alex, great to find your interesting travel blog. To be frank, I did not know about this Scheveningen Beach of Holland at all. All the while and where I’ve been to is only Amsterdam as it’s mostly marketted tourist site of Holland. I hope I have a chance to visit Holland again one day and I’ll be sure to visit Scheveningen Beach, for its nudist section, perhaps? Totally agree, Amsterdam is not known for it’s beaches or surf! But I’m spoilt as I live on the East Coast of Australia. Holland is a beautiful country, iv been to Amsterdam, Keukenhof Gardens in full bloom but havent been to Den Haag. Hi Alex, I like your travel blog. It is very Interesting. Outside of the UK Holland (The Netherlands) is my favourite destination. Probably due to the fact the people there are very friendly. As an ex member of British Airborne Forces I will never forget the kindness shown by the people of Arnhem and Oosterbeek in recognition of the British losses at the battle in 1944. The annual ceremony on September 17th where Dutch school children lay a flower on each British War grave in the cemetery in Oosterbeek brings a tear to even the most hardened paratroopers eye. How can nobody mentions Madurodam , Hooland in miniature? It is the most popular tourist site in Den Hagg. I highly recommend Panorama Masdach in De Hag.I was there last summer , travelling with friends that live in Almere. I was so impressed by this 360 degrees old painting, few hundred meters long of an old village. I wonder why most of travel books do not mention it….Don’t miss it!!!! !